The Relation Between "Flowers for Algernon" and "All Summer in a Day"
Desire, it controls us in many ways. It has even led people to go to war with each other for wanting land a power. 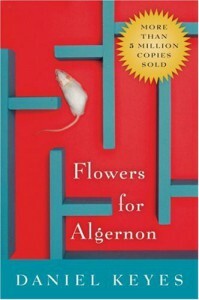 In “Flowers for Algernon” Charlie Gordon a 32 year old has a desire to become intelligent. He undergoes surgery to enhance his intelligence. In “All Summer in a Day” Margot’s classmates pick on her because they desire to see and feel the sun. In “All Summer in a Day” and “Flowers for Algernon” a possible theme is that desire leads us to do things whether we like it or not. Desire has led Charlie to decide that he wants to undergo surgery. At the end of the story the outcome of all the trouble he went through to get smarter was that he would eventually lose it all again. “If the operashun works . . . Then Ill be abel to read better and spell the words good and know lots of things . . . I want to be smart like other people.” For all of Charlie’s life he felt dumb, he even knew that. He knew that he was different from other people. His desire was not only to become smart but to be like everyone else, in hope that he would make friends and not be alone anymore. At the end of “Flowers for Algernon” he is sad and he is falling apart. In that part he knows that the thing that would make him like everyone else and that allowed him to have friends would be taken away from him. In “All Summer in a Day” Margot’s classmates have longed to see the sun. Them living on Venus, the wet and gloomy sun deprived planet it being has led them to treat Margot poorly. “They surged about her, caught her up and bore her, protesting, and then pleading . . . tunnel, a room, a closet, where they slammed and locked the door. . . Then, smiling, they turned and went out and back down the tunnel, just as the teacher arrived.” They locked her in the closet right before the sun was going to come out. The one thing Margot had in common with her classmates was the longing of the sun’s rays. Like greedy human beings they took that away from her. Later they regretted it, “They could not meet each other’s glances. 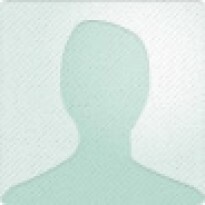 Their faces were solemn and pale.” the word solemn and pale show that they are filled with regret. When it was to be a day filled with the sun’s joyful laughter it ended up being a dreadful day for Margot. Emotion such as desire have a huge hold on people, whether later we can then realize it was wrong it would be too late. Overall desire having an huge say and impact on what we do or say is a possible theme for “Flowers for Algernon” and “All Summer in a Day”.